A few selected examples of massive overspends in UK government procurement. A litany of ineptitude. has lumbered the UK with hidden defecit of around £250 billion. 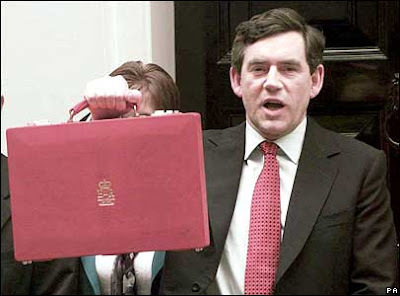 PFI: As Chancellor Gordon Brown favoured public investment through neo-liberal economic alchemy projects called PFI (Private Finance Initiative). Studies have shown that borrowing from the private sector in order to artificially reduce the national defecit has lumbered the UK with around £250 billion of overpriced and inflexible infrastructure debts. Studies have shown that PFI hospitals built for the NHS routinely come in 18-60% over budget, replace existing state facilities with smaller private ones and will eventually cost NHS Trusts multiple times the value of constructing the facilities through government borrowing. After the contracts expire, what was originally state infrastructure is left under the control and ownership of private investors. Brown favoured these scams because it allowed him to hide the infrastructure costs off the government debt calculations. The inflexibility of many PFI contracts and their one side penalty charges force NHS Trusts and local authorities to sacrifice other local services in order to keep up their PFI payments, often on infrastructure that is unfit for purpose. Metronet: the shareholders pulled out of this PFI consortium to maintain and upgrade the London Underground when they got into financial difficulty, leaving the system in chaos with a legacy of unfit signalling equipment, rolling stock and infrastructure, lumbering the taxpayer with estimated costs of £2 billion. NHS Connecting for Health: The NHS computer spine was ordered in 2003 and originally expected to cost £2.3 billion over three years, in June 2006 the total cost was estimated by the National Audit Office to be £12.4bn over 10 years, the project is still far from completion and the eventual cost is currently estimated to be over £20 billion. The project itself has been described as offering few clinical benefits and suffering from serious data security issues. The costs of the venture should have been lessened by the contracts signed by the IT providers making them liable for huge sums of money if they withdrew from the project; however, when Accenture withdrew in September 2006, then Director-General for NPfIT, Richard Granger charged them not £1bn, as the contract permitted, but just £63m. Granger's first job was with Andersen Consulting, which later became Accenture. NOMS: The original projected budget for the Home Office procurement of the National Offender Management System was £99 million. By 2008 the cost of the project had risen to £513 million, meaning that the project will end up more that 400% over budget. Eurofighter Typhoons: Originally ordered in the mid 1980s the fleet of RAF Eurofigther Typhoons eventually cost more than £20 billion, with each aeroplane costing more than 75% more than predicted. The fighters are still suffering technical difficulties and will not be fully adapted for ground attacks until at least 2018, more than 30 years after they were originally ordered. Tory defence equipment minister Peter Luff had little more to say than "the MOD and Eurofigter had learnt from past problems with the programme", yes, they learnt that they could waste £billions of taxpayer's money without any serious repercussions or criminal charges. 1995 Chinooks: The MOD spent at least £500 million and the best part of a decade on upgrades to 8 Chinook helicopters that were not airworthy, unsafe and unfit for purpose when delivered at a cost of £259 million in 2001. A ten year operational delay, a tripling of costs and the procurement of the most expensive helicopters in history. since Dr Beeching's "axe" in the 1960s. The Rail Network: Realising that they were almost certain to lose the 1997 general election the Tories rushed through the privatisation of British Rail, which one of the most botched and inefficient privatisation schemes in history. The system was fractured into many regional monopolies, each monopoly running trains hired from private rolling stock operating companies (ROSCOs) on a privately maintained network. The network operators Railtrack increased profits by reducing safety maintenance on the tracks, eventually (after numerous fatal accidents) Railtrack was replaced with a quasi state controlled organisation called Network Rail which went on to run up an estimated £24 billion debt while the board of directors awarded themselves obscene pay raises and bonuses in a jobs-for-the-boys culture they also spent £millions of public money paying off and gagging whistleblowers and harassment victims. The ROSCOs didn't bother to order any new rolling stock for the 1,064 days after rail privatisation causing the near complete destruction of the one world leading British train industry. When Labour came to power, they refused to reform the rail franchising system and even handed out longer term contracts to many of the regional monopolies. The worst example was the Network Rail East Coast Mainline franchise which began with annual subsidies for operator National Express but under the terms of the contract the operator would eventually end up paying a £1.4 billion lease for the franchise. As the subsidies were phased out National Express bailed out of the contract lumbering the taxpayer with an estimated £700 million in costs. Despite ditching their responsibilities and shafting the taxpayer National Express were allowed to keep their other rail franchises elsewhere on the network and nothing will prevent them from bidding for future rail contracts. Under the state run British rail system in 1994 the net subsidy to the rail network was £1.6 billion, eleven years later net subsidies to the privatised rail network had increased to £4.6 billion despite no large scale improvements to the rail infrastructure. Even if the 1994 figure is adjusted by RPI to 2005 terms (£2.2 billion) the annual cost to the taxpayer of running Britain's railways has more than doubled under privatisation while passengers face increasingly overcrowded trains and inflation busting fare rises year after year. 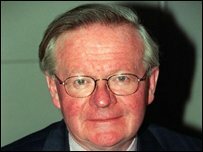 Mapley Steps: Perhaps the most absurd example of witless government procurement is the case of HM Revenue & Customs' £3.3bn contract with a firm called Mapeley, in which the UK tax inspectorate handed over the ownership and management of 591 tax offices to an offshore company based in the Cayman Islands. The cost of the contract has subsequently risen to an estimated £3.87bn and the department has found that it cannot recover its own VAT on their rent. The National Audit Office criticised the deal stating that "any apparent savings for the department are accompanied by reduced tax revenues." As well as cost overruns and lost tax revenue it also seems that HM Revenue & Customs will be forced to pay compensation to the offshore company as numerous tax offices are closed as part of the Tory austerity measures. To date nobody in government or the civil service has been held accountable for the creation of such a ludicrous contract specifying that the UK tax inspectorate pay billions of pounds in rent into a massive tax avoidance scheme and no moves have been made to force the company to pay UK tax on their profits. These and many other government outsourcing projects have cost the UK taxpayer tens of billions of pounds. In order to stop the casual waste of taxpayer's money I propose several reforms to UK government procurement, including a ban on contracts with companies that refuse to pay UK tax on their profits, a procurement watchdog and a procurement blacklist for companies that have been found guilty of shafting the taxpayer. 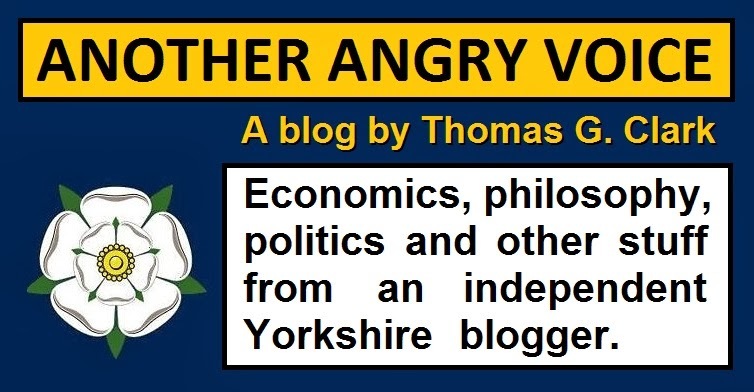 I have gone into greater my proposals on my (forthcoming) "Manifesto for the UK economy" article.